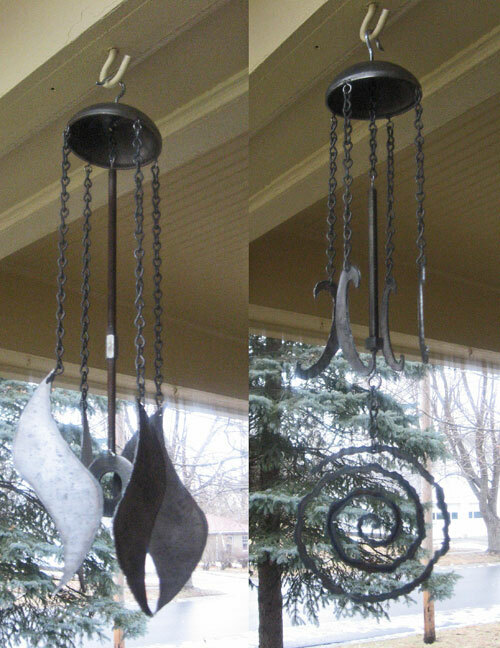 Here are a couple of garden chimes that I call 'Garden Jellies'. The shape of these reminds me of graceful jellyfish coasting through the sea. These steel jellyfish make a pleasant tinkling sound as the wind moves their tentacles.